Am back with the review of a face pack. I got this BioBloom Skin Care Face Pack Honey, Lemon Juice & Olive Oil in one of my Globox. After using it religiously for a month, here are my views on it. For those who don’t know, BioBloom is a natural brand whose products are free from parabens, formaldehyde, sulphates and petrochemicals. I have previously used their hair cleanser and conditioner and loved it. Read on to know how this face pack fares and whether you should go for it or not. Honey rejuvenates and refreshes the skin. Lemon juice help in skin whitening. Olive oil is rich in antioxidants that are excellent for the skin. Lemon juice, Honey, Cold pressed oils of sesame, jojoba & sweet almond, avocado butter, natural clay of kaolin, purified water, naturally derived beeswax, glyceryl monostearate and cetyl alcohol, vegetable glycerine. BioBloom Skin Care Face Pack Honey, Lemon Juice & Olive Oil is pale white, ivory color. The consistency is thick, smooth and creamy. It has a natural fragrance from the olive and sesame oil predominantly. It is not too strong, but those who don’t like oil smell might not like it. 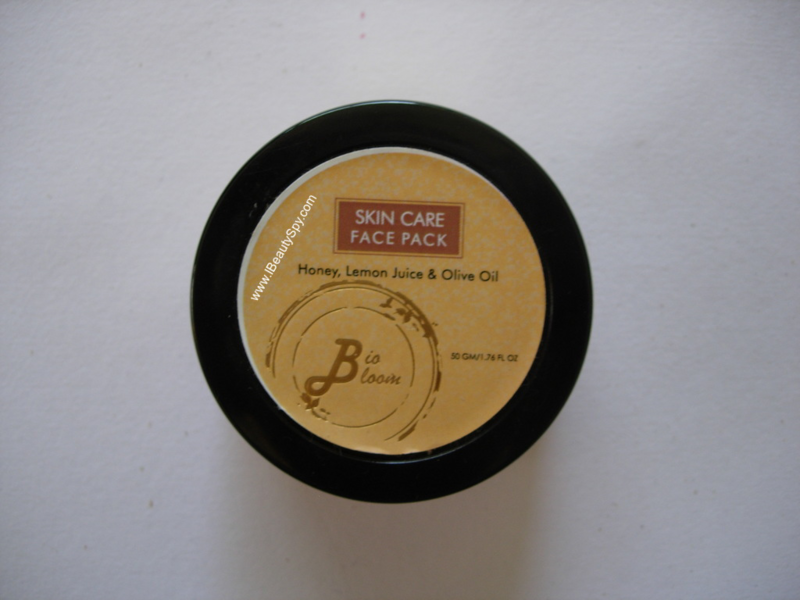 BioBloom Skin Care Face pack Honey, Lemon Juice & Olive Oil is easy to apply evenly and spread. I would suggest you to apply on damp face or spritz some rose water before applying as its difficult to apply on dry skin. 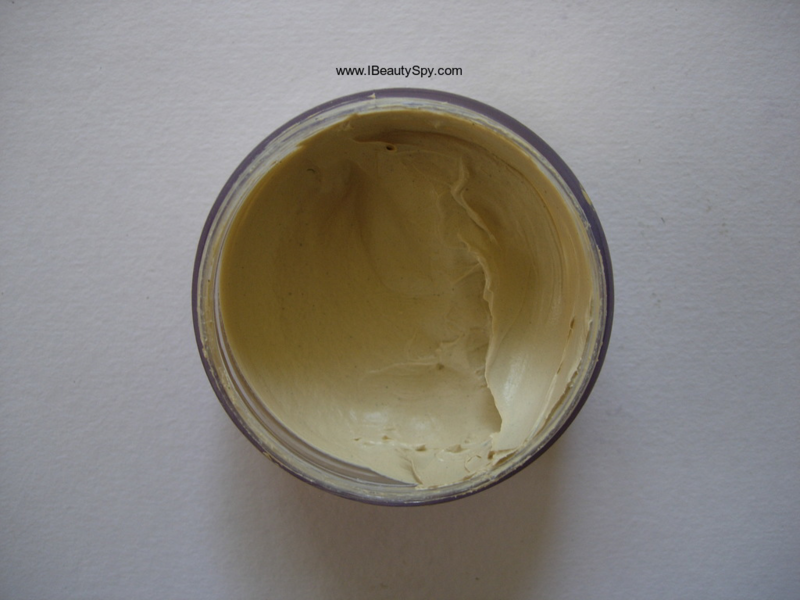 It gives a mild tingling sensation on application which might be due to the presence of lemon juice and kaolin clay. I leave it on for 20 minutes and then wash off. After washing, my skin feels smooth and soft. The kaolin clay has deep cleansed my skin and clogged pores. I don’t feel much dryness or stretchy feeling. The tingling sensation lasts for sometime even after washing. 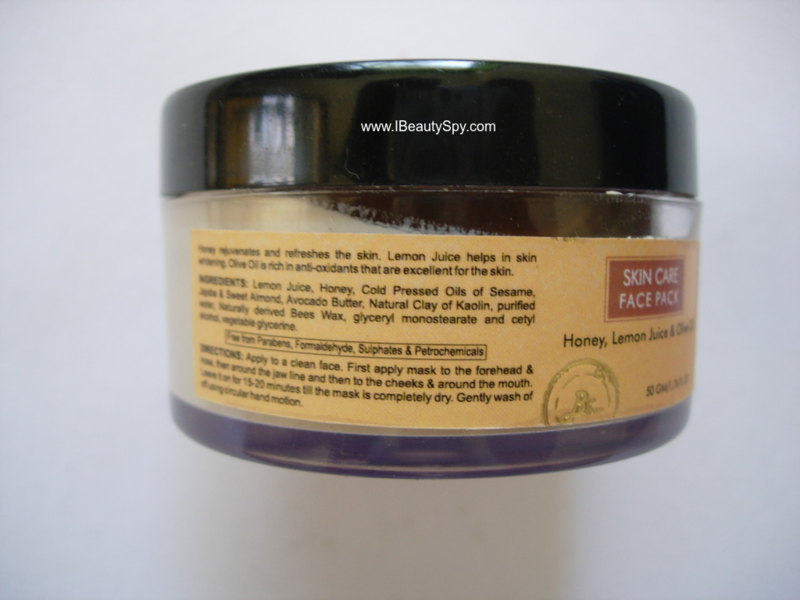 BioBloom Skin Care Face pack Honey, Lemon Juice & Olive Oil has improved my skin texture a lot. It also gives a nice radiance which lasts for a day. But apart from that, I haven’t noticed any big difference on removing my tan, fading spots or subduing acne. BioBloom Skin Care Face pack Honey, Lemon Juice & Olive Oil is best for dry, normal and combination skin. I wouldn’t suggest it for oily, acne prone skin as it contains oils. Also sensitive skin people need to do a patch test first as the lemon juice might irritate your skin. The ingredients list look impressive. But honestly I feel that if we just make a DIY at home mixing lemon juice, honey and other oils, it would be more effective than this one. The results of this face pack are very average. Now, I have one query about the ingredients list. It doesn’t seem to contain any preservatives. I wonder how 🤔? Whether they have mentioned only key ingredients? Is complete ingredients list missing? Can anyone reading this explain me 😀? It rejuvenates and refreshes the skin. But I haven’t noticed any skin whitening or brightening. * Free from parabens, formaldehyde, sulphates and petrochemicals. * Impressive ingredients list of natural ingredients like lemon juice, honey, various oils and avocado butter. * Minimal chemicals and preservatives. * Deep cleanses skin and clogged pores. * Doesn’t do most things which a face pack is supposed to – removing tan, subduing acne, fading spots, giving glow. * Pricey for the results. * Not vegan – contains beeswax and honey. * Suspicious about complete ingredients list as no preservatives mentioned. No. Its just an average face pack. No. Its pricey for the average results. Overall, I didn’t find anything interesting in BioBloom Skin Care Face pack Honey, Lemon Juice & Olive Oil. I wouldn’t repurchase as it gives only average results not worth the price and also since am trying to convert to a vegan skincare routine, while this contains beeswax and honey. Has anyone else tried BioBloom Skin Care Face pack Honey, Lemon Juice & Olive Oil? Would love to hear your experience with it. Sounds average. I might as well DIY this 🙂 Loved reading your honest review. I’ve tried their mint lip balm which I believe I received in my Glamego box. I loved its cooling effect upon the lips 😀 But yes in case of face packs, we do expect amazing results..